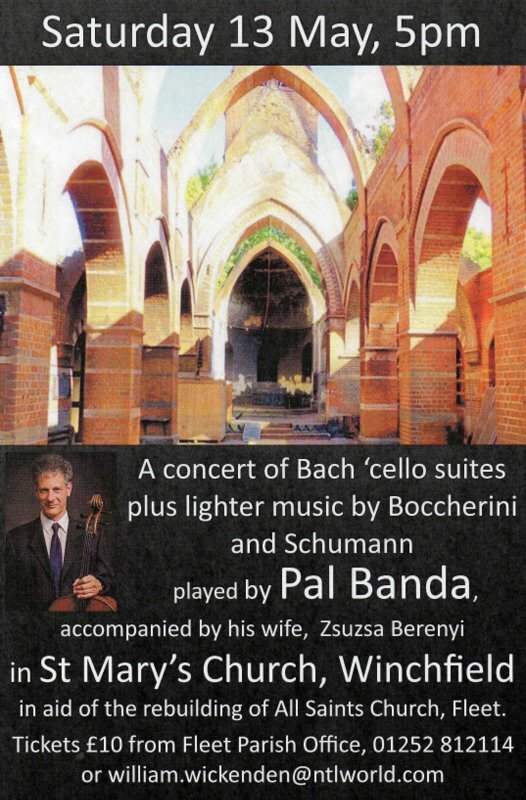 FUNDRAISING CONCERT – Hungarian ‘Cellist Pal Banda will be performing in St Mary’s Church, Winchfield, on Saturday 13th May, 5.00pm, in aid of All Saints Fund. Tickets £10, numbers are limited so be sure to buy yours early! Contact Kate Wickenden, william.wickenden@ntlworld.com or the Parish Office on 812114. Pal Banda and his wife Zsuzsa Berenyi are very well known musicians who like to give charity concerts in aid of churches in need of restoration.